Eric Johnson of Blacks Copy Services was featured January 13 on The Miami Beach Chamber Radio Network! Eric Johnson is a Miami native who attended LaSalle High School, and graduated from Florida International University. His passion is for helping people and relationship building, so he says “I guess you could say I was a natural for sales”. Eric has worked in a number of sales positions in Miami and nationwide, and knew early on that the relationship was paramount to the sales experience. Eric’s sales success philosophy is “get to know your customer, put their needs first, and the rest will follow.” He is currently the Director of Sales and Marketing for Black’s Copy Services, a family-owned business that was started in 1969. Dr Miguel Toro Shines on The Radio! The Miami Beach Chamber Radio featured chamber member and Chiropractic Physician Dr Miguel Toro. Miguel was raised right here in Miami. He went to the University of Miami and earned a biology degree with a focus on sports medicine. He worked in professional and collegiate athletics over the first few years out of college, including a year long internship with the Dallas Cowboys. In 2002, he decided to make a career change, fueled by a desire to serve humanity at a larger scale and in 2005 got his Chiropractic license, opened and office in Miami Beach where he has been for the last three years. 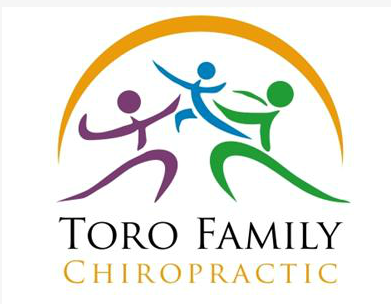 Toro Family Chiropractic is a family wellness practice located in the heart of Miami Beach. They serve people of all ages, from newborns to their great grandparents. The Mission at Toro Family Chiropractic is to assist their patients in achieving extraordinary health and offering the highest level of personal service. Visit the Miami Beach Chamber Radio Network show page and listen to Dr Miguel Toro share his business tips, philosophy and benefits of chamber membership. You can also check out the archived shows featuring other Miami Beach Chamber businesses, professionals and organizations. I’ve called Miami Beach home since I was a kid, but we natives are rare. In my opinion, Miami’s diversity is what makes it the “Magic City”. Global business is the new norm, but we’ve always been an international player. That’s why I was so pleased to hear the latest report from the U.S. Travel Association highlighting recent victories in streamlining passenger visa, entry and screening processes. This news represents the power of organization. Our very own Chamber can take pride and some ownership, as we, along with our sister chambers, have been lobbying passionately to make these changes happen. Starting this year, the State Department will step up its visa reform program, which will include reducing visa processing times in China, Brazil and India; monitoring demand from these countries and responding accordingly; accessing the benefits of waiving lengthy interviews for select parties reapplying for their visas; and pursuing technologies that will further help expedite the entire process. The new funding and provisions also call for streamlining passenger processing at U.S. Ports of Entry. Additional Custom and Border Protection officers and staff model analysis will ensure that these ports are appropriately and efficiently manned; the transition to a biographic air exit system will more accurately verify and track foreign nationals; and a pilot program will hopefully soon lead to the elimination of duplicate screening for both passengers and baggage. Further travel recommendations aim to implement a Pre-Check risk-based screening program, provide airports the option to utilize privatized screeners, and reach the goal to keep checkpoint wait times to a 10-minute average. This is a national feat, and a huge milestone for Miami. As a major business hub for South America, Brazil has and remains to be a crucial market for us. Yet, China and India represent a new wave of economic giants also steering the global business arena. It’s no secret that Miami is a desirable destination in which to conduct business. Why shouldn’t we make it easy for our international allies? 2011 was a momentous year for the Miami Beach Chamber of Commerce. We successfully installed many new initiatives and experienced incredible growth in both membership and monies raised to support our visions. However, as fun as it is to reflect on past accomplishments, the New Year is about looking ahead. Now is the perfect time to craft your personal and professional plans that will take you and your business to an even greater level. Once everything is in place internally, it’s time to start letting people know about your business externally. The power of connections are amazing – I attribute nearly all my new clients to relationship building. While many people understand the importance of networking, a majority don’t do it very well, equating it to event attendance and handing out business cards to as many people as possible. While reach is certainly important, I can’t stress enough that success is in the quality of these relationship. First, look at your network and determine if you are getting anything out of it. If not, you need to determine whether it is the network itself or if it’s a matter of you and your own involvement. Sometimes the relationship simply isn’t a fit – and that’s ok, just gently sever your ties and find an organization that you can identify with. If it’s the latter, remember that any good relationship is reciprocal. It’s about instilling goodwill on behalf of your clients and enjoying the benefits of their goodwill in return. People like doing business with others that they like and trust. But you can’t find and determine who these valuable contacts are by simply handing out your business card with a one-liner about what you do. Active involvement with an organization allows you to really get to know the people within. Getting involved is easy – find an aspect that engages you. The Miami Beach Chamber has 13 councils covering a range of business sectors and niches from tourism, to global business, to emerging leadership, to arts & culture and beyond. Every one of these sub-committees presents a perfect opportunity to not only connect with fellow members, but develop a relationship and a better understanding of their respective strengths and goals, thereby putting you in a stronger position to effectively help one another. This is the spirit of our Chamber. On behalf of the Miami Beach Chamber of Commerce, we wish you a very happy, healthy and prosperous 2012. I believe; however, that each of these joys are magnified with a strong support system and I look forward to working together.